By Spencer. Americana should be a thing of the past by now. I mean, it obviously is a thing of the past, literally speaking. But the fad that kicked into overdrive six years ago with Mumford & Sons and The Lumineers should have burned itself out by now. (Hell, if you listen to Mumford’s latest album, 2015’s lackluster Wilder Mind, it’s pretty clear even they have moved on—even if that was a mistake). The shame of it is, there are those who never were part of the fad, who were doing this kind of music simply because they loved it, because it spoke to them and spoke through them. They were there long before the hipsters took hold of it and made it part of a broader aesthetic movement of ironic handlebar mustaches, mason jar cocktails, and reclaimed hardwood decor. 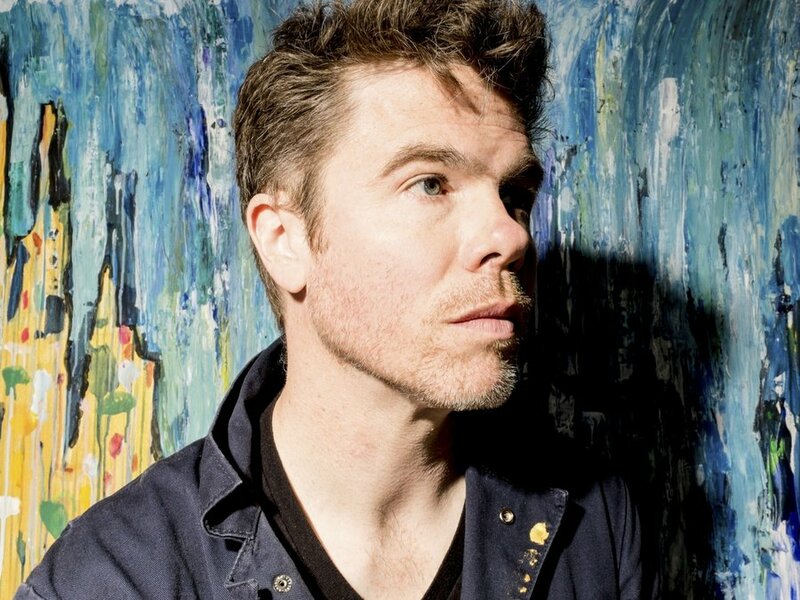 Josh Ritter should by all rights be the face of Americana—he’s been doing it since his 1999 debut, and for a three-album stretch that included 2006’s The Animal Years, 2007’s The Historical Conquests Of Josh Ritter, and 2010’s So Runs The World Away, he did it better than just about anyone. Back this week with Sermon On The Rocks, Ritter is lyrically laying claim to that mantle once again, even as his sound takes a few bold steps beyond all that. Maybe Josh Ritter will never be the face Americana needs, much less deserves. But as you listen to the twelve new songs that compromise Sermon On The Rocks—songs that sonically range from guitar pop to dark folk to rockabilly—you suspect he’s fine with that. Those who are familiar with Ritter’s back catalog may be shocked to hear the first few bars of “Birds Of The Meadow.” The drums wallop, an organ pulses, and Ritter’s voice practically growls: “I didn’t come to ask you how you’re doing these days / Didn’t come to roll no stones away, no / I come to tell you that the end is nigh / I come to prophesize, yeah.” It’s an uncharacteristically aggressive start for a guy who usually seems happy to be here, but then the guitar gets a little funky and it starts to feel a little … fun? So be it. Only Josh Ritter could pair an apocalyptic message like “fire is coming, fire is coming” with a sense of playfulness. As should already be clear, Ritter’s lyrics are still drawing on that same tradition of Emersonian Transcendentalism and Christian revivalism that has always been his bread and butter. Song titles like “Young Moses,” “Cumberland,” and “Henrietta, Indiana” evoke an imagery of middle America in its glory days, when spirituality was a philosophy and the common man a saint. But the “sermon” that Josh Ritter is delivering this time has a newfound edge, an ever-so-slight dose of modern American snark—even if his ingrained sunniness precludes him from ever following that impulse all the way down the road to cynicism. What kinda god would ever keep a girl from getting what she needs? It’s a biting satire hiding behind a hell of a pop song, and when he goes on to say that “when you get damned in the popular opinion, it’s just another damn of the damns you’re not giving,” he could just as easily be talking about the expectations behind his own vintage sound. After two mostly acoustic releases (the 2012 EP, Bringing In The Darlings, and 2013’s full-length The Beast In Its Tracks), the softer moments this time around are fewer between, but they’re there. “Seein’ Me Round” stands out, flecked with bits of Spanish guitar, and “The Stone” is a moment of peaceful reflection. But the overall attitude of Sermon On The Rocks favors the upbeat—at least musically. 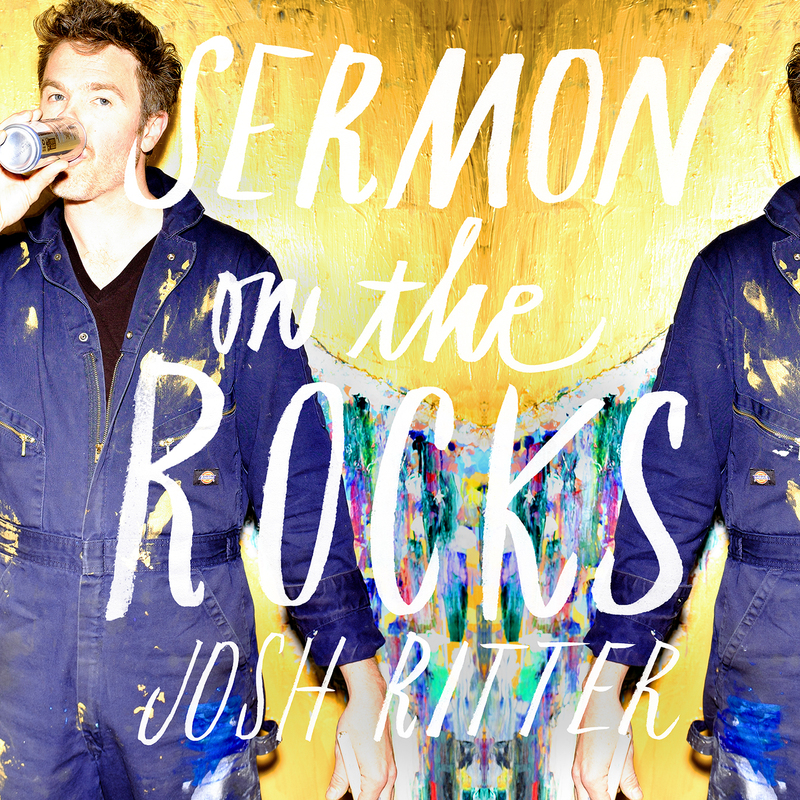 Lyrically, though, Josh Ritter is still a storyteller at heart. And while Bob Dylan comparisons are almost as old as, well, Bob Dylan, Josh Ritter’s rapid-fire poetry gives him a greater claim to the badge than most. The title of this album might suggest a certain tongue-in-cheek lightness, but these are far from drunken ramblings; if there’s more levity to his homilies than we’ve heard of late, the difference is one of degree rather than kind. With allusions to Adam and Eve, oracles and angels, and a little old-fashioned good and evil, Ritter still brings an intellectualism and spirituality to his wordcraft that belies a minstrel of serious aspirations. So even if Americana inevitably fades back into the history from which it came, Josh Ritter seems more than capable of being his own man. Unlike the Mumfords and Lumineers of the world, his music doesn’t just utilize the instruments or mimic the sonic palette of yesteryear; he marries the romance of that imagery with a thoroughly modern vision of love and life. Nostalgia may inspire him, but it does not define him. Yeah, I think those who especially loved the sparsity of The Beast In Its Tracks might not love this one on first listen, because it’s a very different tone. But I like that Josh Ritter takes these left turns sometimes. It’s not that it’s a huge departure from his past work, but it’s just different enough to keep things fresh. And it rewards multiple listens.